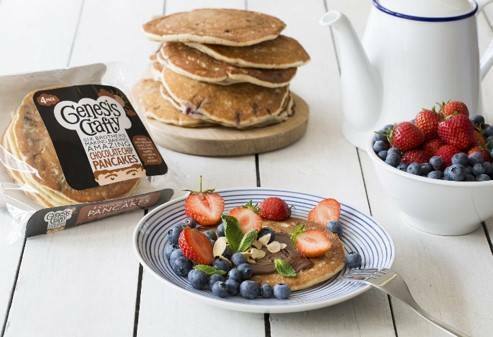 This week Q Radio have teamed up with Genesis Crafty to launch their lighter, fluffier, new recipe pancakes. Pancakes can be consumed as part of a balanced breakfast, a tasty snack at any time or a yummy treat! Go llama trekking (it’s just like taking a fluffy cloud for a walk..) or enjoy a walk in the clouds on a treetop adventure. Listen into Q Radio Breakfast each morning from 6am - 10am with Stephen & Cate all this week for your chance to WIN! Competition is only open to pancake fans! Prizes are non-transferrable or exchangeable. There is no cash alternative. Genesis Crafty and Genesis Advertising are not responsible for facilities, services, products, goods, food or drink at The Jungle NI. Genesis Crafty and Genesis Advertising are not responsible for the Health & Safety of patrons, visitors or spectators at/on The Jungle NI property. The Jungle NI vouchers may have an expiry date. Winners are responsible for checking the expiry date.